It is that time of the year, the time for Christmas Cookies. I love baking cookies all year round, however during the holidays it is always great to make lots of cookies and deliver handmade cookies to those special people in your lives. Nothing is better than a cookie (or maybe a few) and some warm cocoa (or coffee) while you are all snuggled up under a blanket on the couch. Here is a list of all the cookies that I have shared on my blog. However below is a few of my all time favorites. Thumprint cookies have been my favorite since I was a child. I remember making these for a Girl Scout Bake Off one year all by myself. Chocolate Crackles are also a cookie that I remember having around the holidays. The best thing about these cookies is rolling the dough in powdered sugar or even better having your kids help you with that. 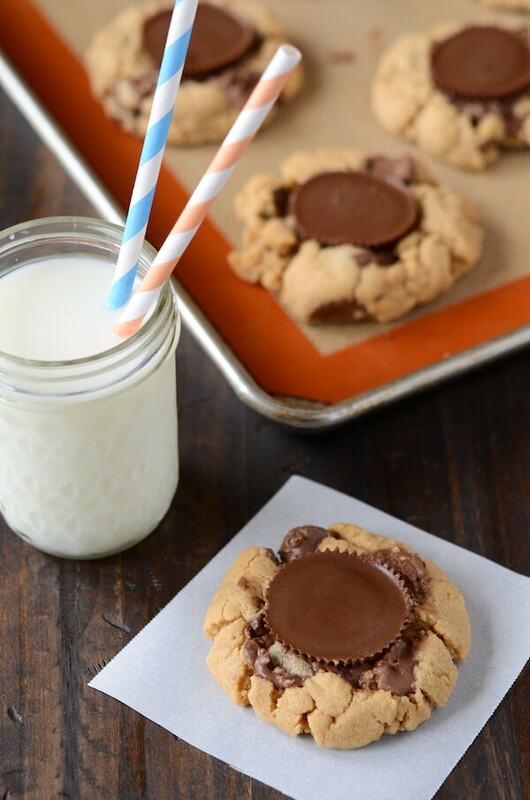 Recently I made these Reese’s Peanut Butter Cup Cookies and they became a huge hit in our house immediately. Now when I say I am making cookies my husband asks if I am making these. Peanut Butter & Nutella Swirl Cookies will surly be a favorite in your house. Peanut Butter and Nutella just seem like they were made for each other and these cookies will not disappoint. You can’t go wrong with a twist on an old classic, Vanilla Pudding Chocolate Chip Cookies. These cookies are so soft and moist and honestly in my opinion are the best chocolate chip cookies ever! What ever cookies you make this year I hope that you have fun making them, enjoy eating them, and share them with someone special.